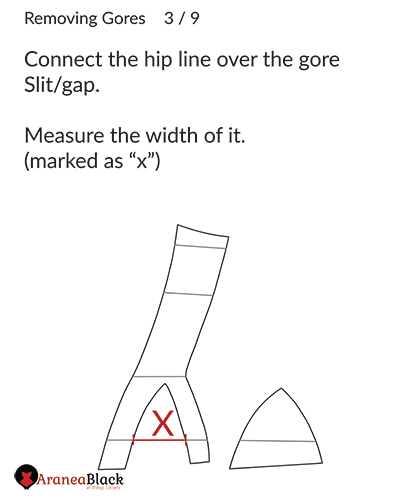 How to remove gores from corset patterns? 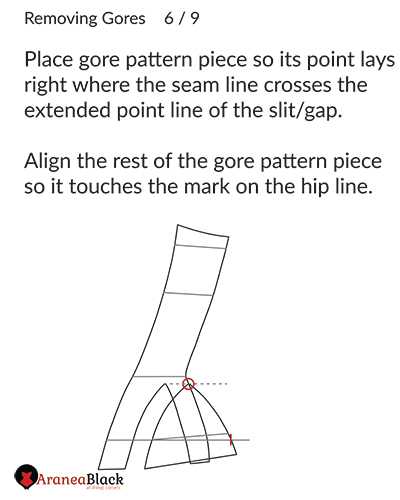 While gore pattern pieces can serve a great role in the shape, fit and smoothness of a finished corset. There are times when we simply don’t want them. 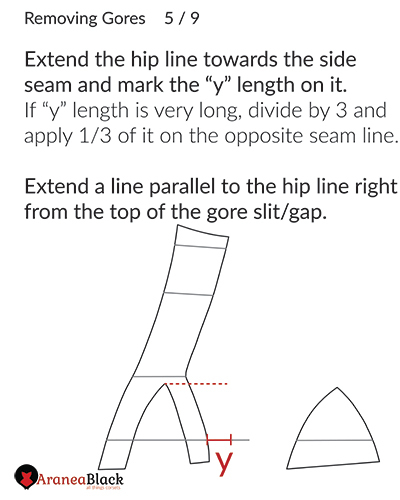 Your dream design might not look so dreamy with obvious gore seam lines. 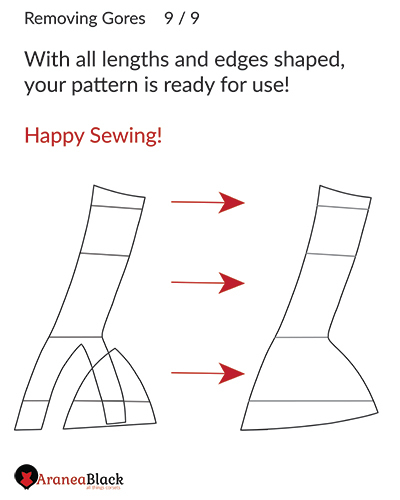 You might just not like them or don’t want to deal with sewing them. What ever your reason, rest assured that your gore problem can easily and quickly be solved! 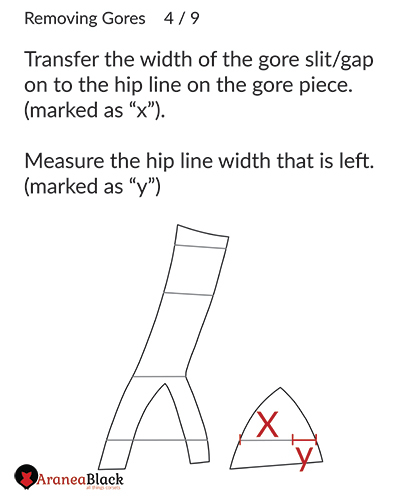 In this tutorial, example gore pattern is located on the lower part of the corset and it runs over the hip circumference line. 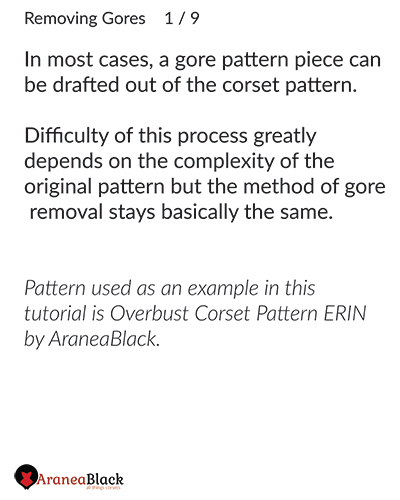 Same method can be applied on a gore piece laying over the underbust or bust circumference line too. 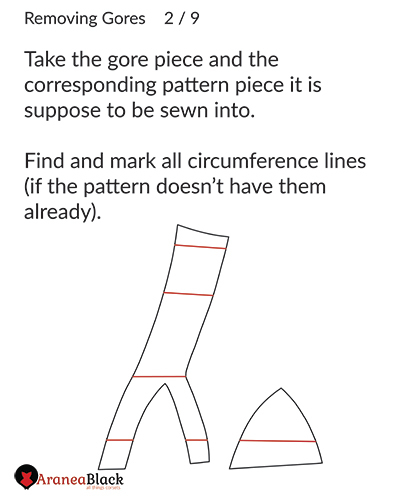 Also, example gore is triangular in shape, having just one point and, again, the same process of this tutorial can be applied on to trapeze shaped gores as well! 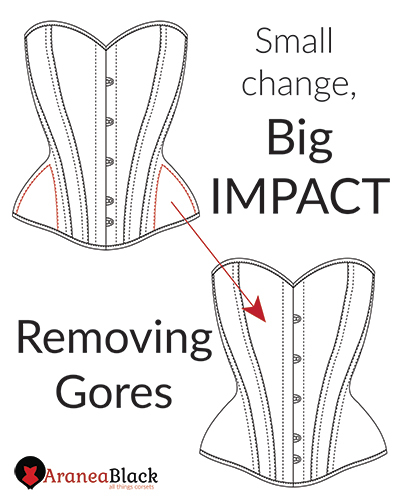 Any corset that has gores can be reshaped to better suit your needs. 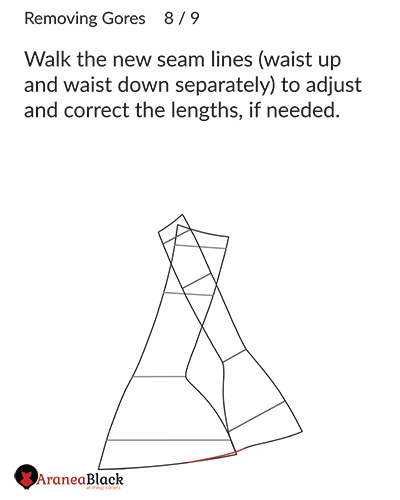 Hope I have sparked creativity in you to bravely manipulate corset patterns, bend them to your will! 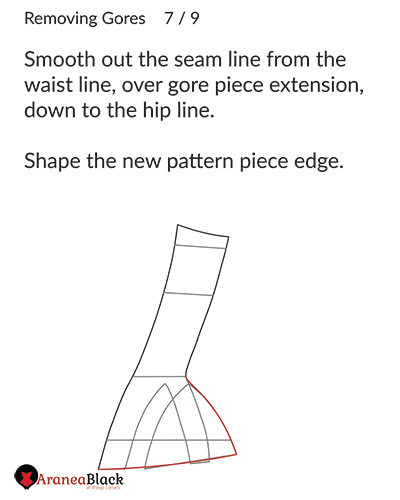 Method is demonstrated on a modified Overbust corset pattern ERIN though the same principle can be applied to any other corset patterns.